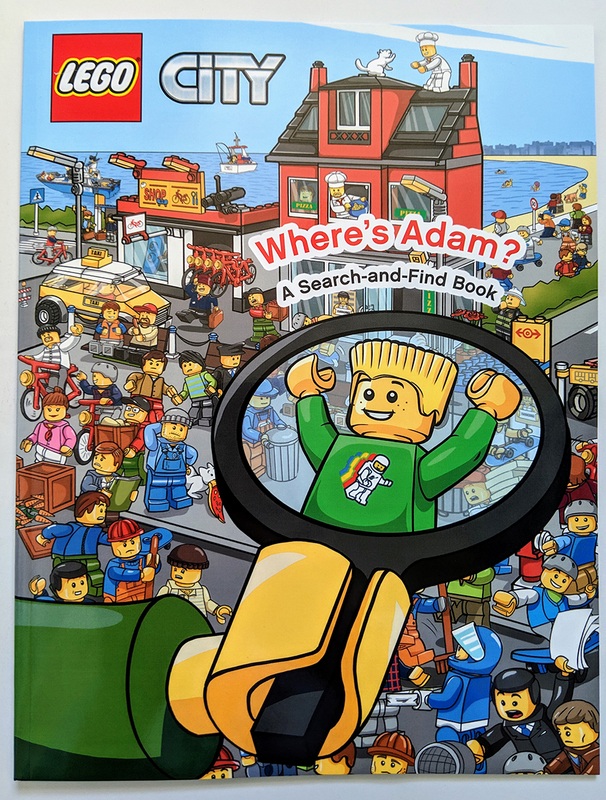 Just before Christmas I featured a personalised LEGO® book from Penwizard, in which you could create your own minifigure and have it featured in your very own one-of-kind Search-and-find book. The guys at Penwizard have since been in touch to see if I’ll like to take a look at one of the books. They have kindly created the LEGO City: Where’s Adam? book which will not only provides a valuable resource should I ever go missing but means I can also give it a cheeky review, so let’s take look. 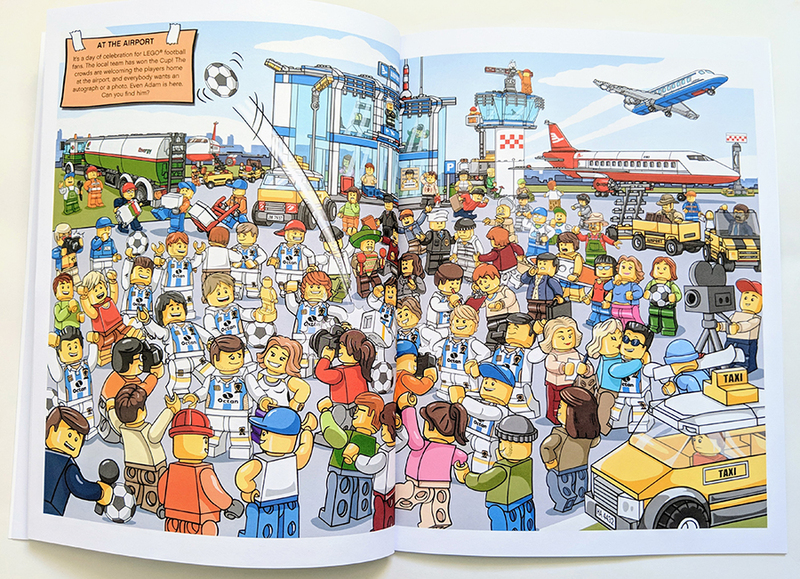 With 24 pages of LEGO® search-and-find, this personalised book is sure to be hours of LEGO fun! Start your adventure by creating your very own LEGO Minifigure. Donning the classic yellow LEGO look, make this minifigure your own by choosing from a range of expressions, clothes, hairstyles and more! With a little Penwizard magic, your child’s minifigure and name will appear throughout the story—taking you through LEGO City on a search-and-find adventure. Once you’ve found your minifigure in each scene, your personalised LEGO book keeps the fun going with added activities in the back. This LEGO book is the perfect gift for any fan! Book Title: Personalised LEGO Book: Where’s Your Child? Although the book was created on my behalf, when ordering one for yourself, there are a number of customisable options you go through before completing your order. You can choose between a number of minifigure elements including hair pieces, various torsos and faces. You can also change colours of these items, they may seem limited but there is enough there to create an approximate minifigure version of the person you’re creating the book for. Once your options have been complete, Penwizard will work their magic and create your book. 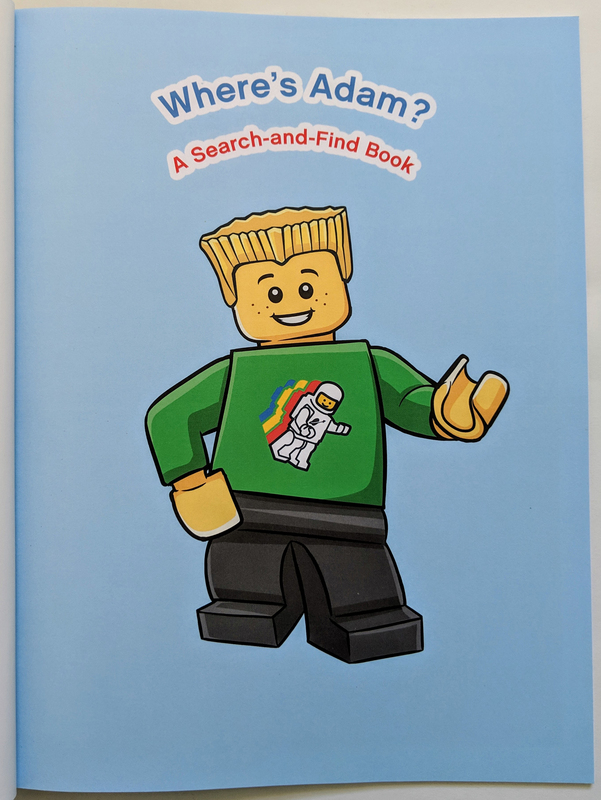 The book is a search-and-find title, which means the minifigure avatar you’ve created is dotted about various LEGO City scenes. You can also create your own goals to find, such as football players, people wearing green and things like that. There are also a few pages which offer a spot-the-difference game, with 10 differences between the two similar pages. References to the people featured in the book are also found on each pages short paragraph. One of the main reasons I featured the book in the first place was because it was such a unique idea. Although personalised books are nothing new I’ve never seen a LEGO version. 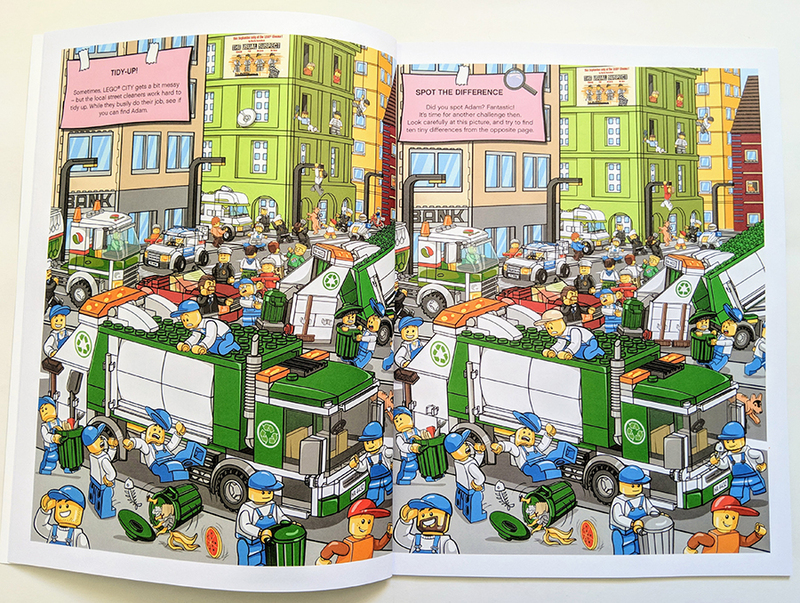 It’s something young LEGO fans will love, hey I’m in my 30s and even I think it’s quite cool I’m in a book. If you always struggle to find a gift for someone who enjoys LEGO, this is perfect and it really is a truly unique item, they are highly unlikely to have. 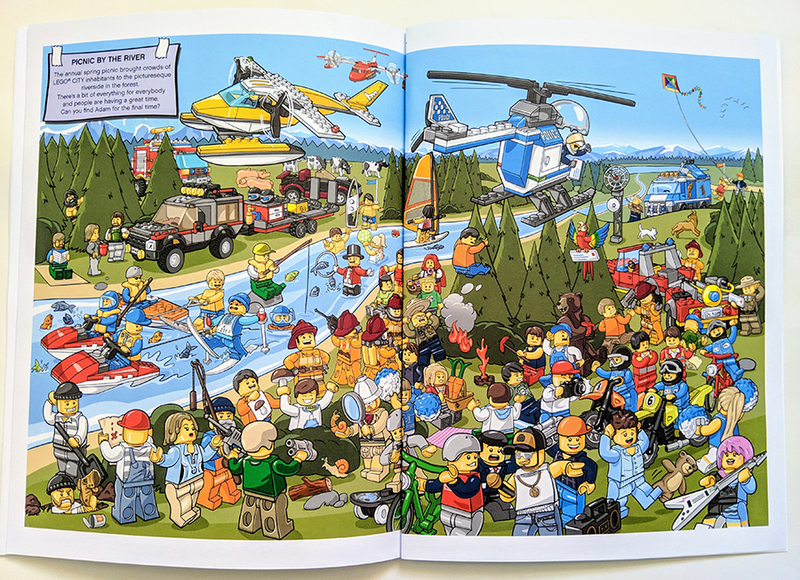 It may not be a long book, but there is plenty to see and it’s fun trying to find your own minifigure self with the crowds of LEGO City, plus who doesn’t enjoy a spot the difference. The only thing that would make the book more impressive would be if you actually got a physical version of your minifigure along with the book. You can order your own LEGO Where’s? Personalised LEGO Book now exclusively from Penwizard. Thanks to Penwizard for not only sending a copy of the book to check out but for also creating one featuring ‘me’ in it. The thoughts expressed within this review of that of BricksFanz and do not represent those of Penwizard or the LEGO Group.